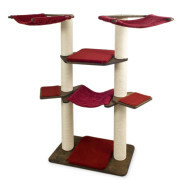 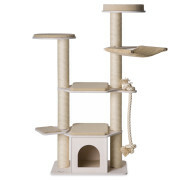 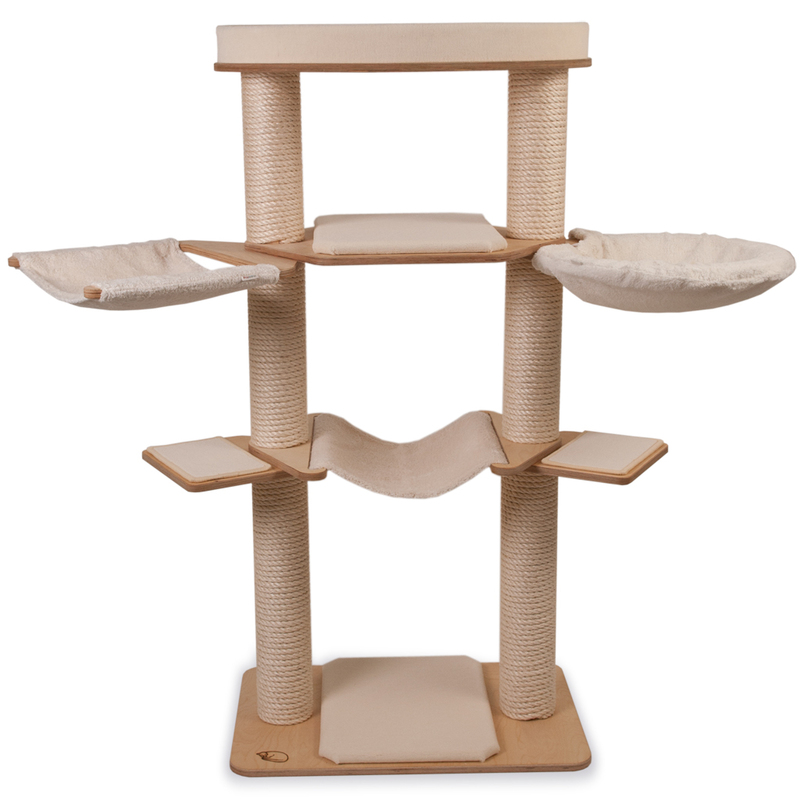 Freestanding cat trees with ground plate BP2 appear airy and light and offer your cat varied opportunities for playing and resting, and the sisal scratch posts allow for effective daily claw care. 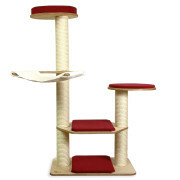 In combination with the stabilising connection platform LE4, these models stand up to 150 cm high. 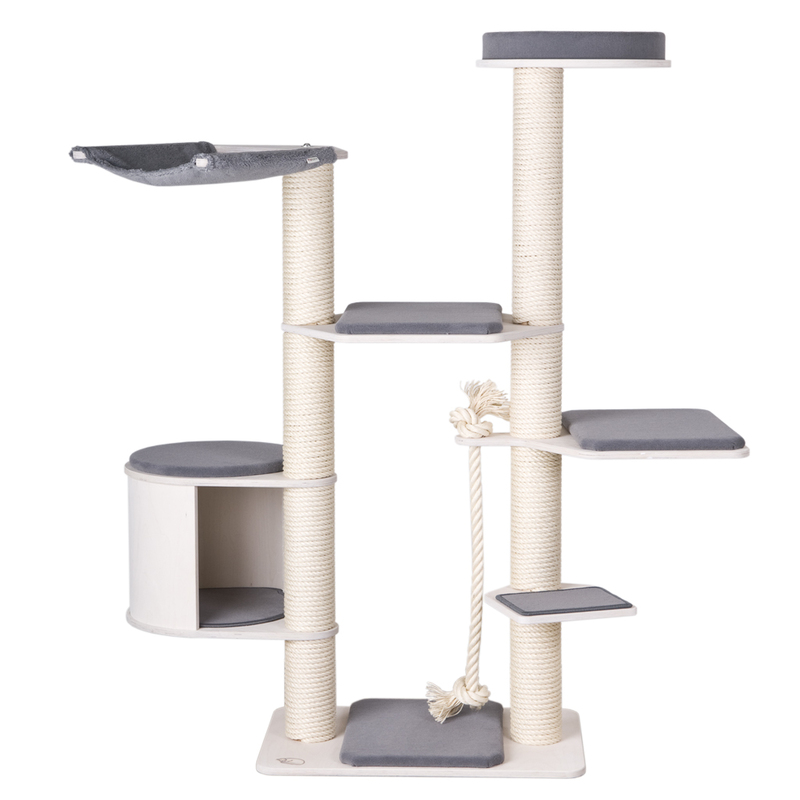 Tip: Cats like to observe – and a cat tree in front of a window with a view is an ideal place for observing what is going on in the garden or on the street – your cat will never be bored again. 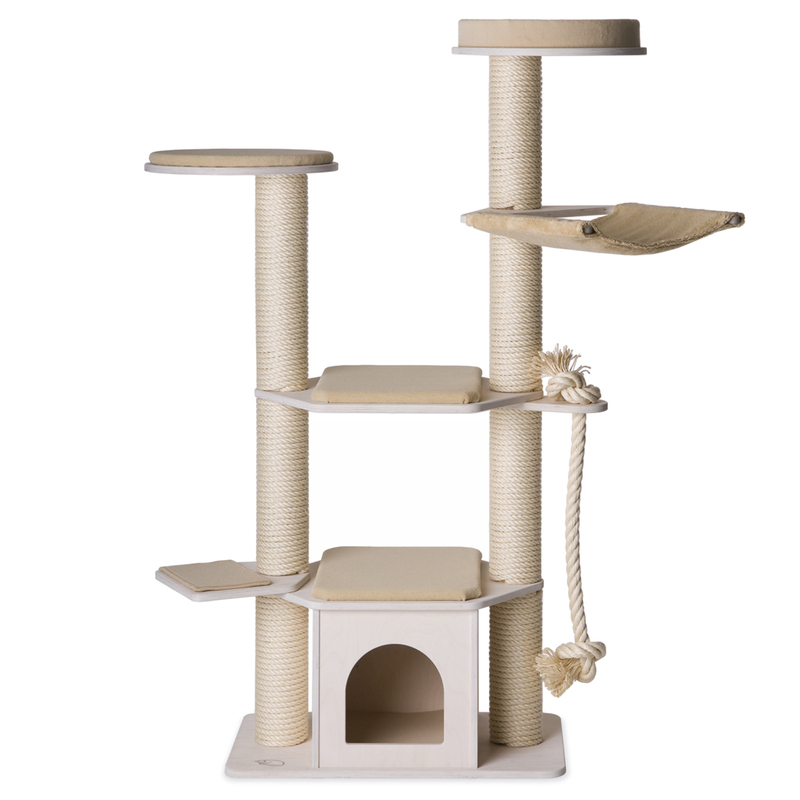 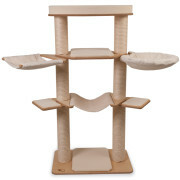 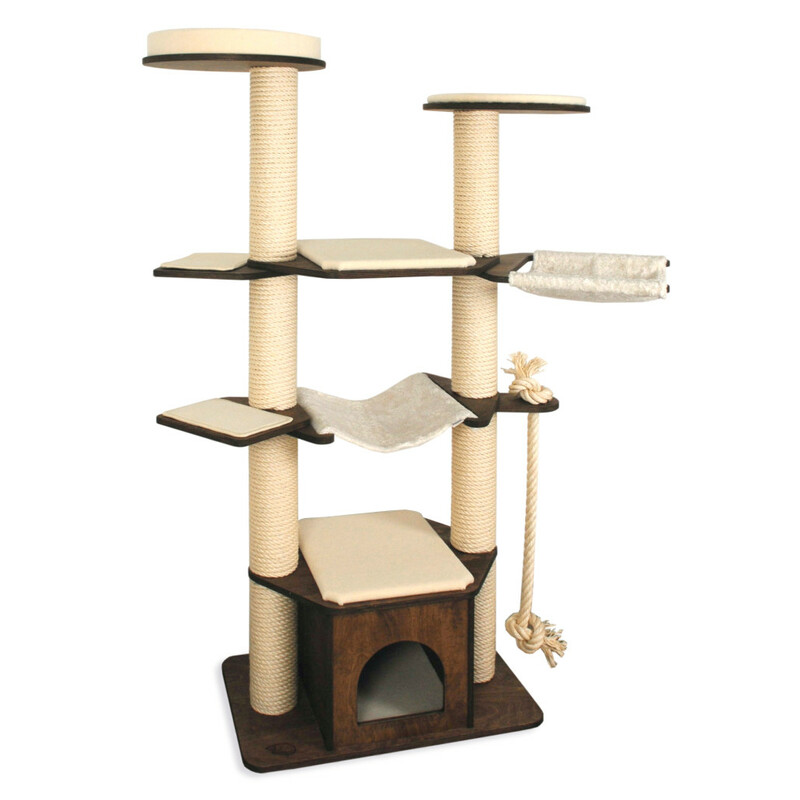 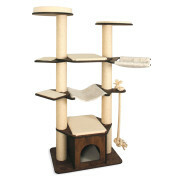 Our 2-post model series allows you to realise a great variety of freestanding cat tree designs. Good to know: The cat house with an intrinsic weight of 20 kg guarantees stability and secure grip even for very tall cat trees. 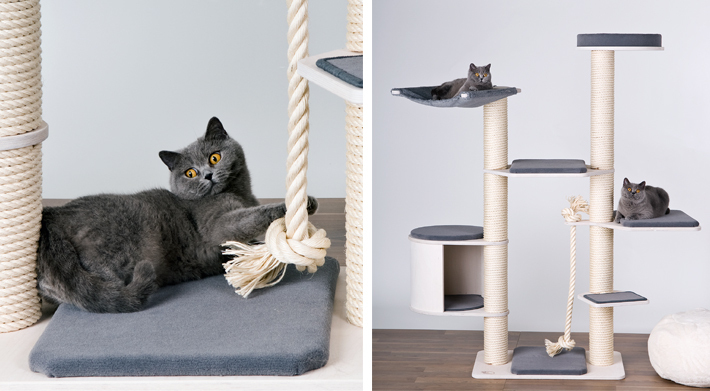 The stability of the model Vincent (pictured on the right) is further enhanced by the connecting platform, with which cat trees of up to 200 cm height are possible. 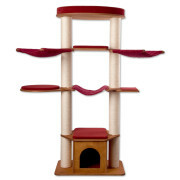 2-post cat trees offer your cat a great variety of climbing, playing and sleeping options – your cat is not limited to moving around vertically, but can also enjoy moving across the tree. This is particularly beneficial, if you have two or more cats, as a sleeping cat on any of the platforms needs not be disturbed by the others climbing up or down. Note: The cathouse and the two posts are delivered fully assembled – no self-assembly kit – the professional guarantees stability. 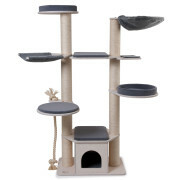 Benefit: You can use the cathouse straight away and the remaining assembly of the cat tree is simple and can be completed quickly (about 10 – 15 min).